In 2001, Femque van Geffen and Janneke Dröge started painting crockery in a small studio in Amsterdam under the name Blond. Their shared passion for fun and colorful tableware grew into a vibrant, varied and famous product range. 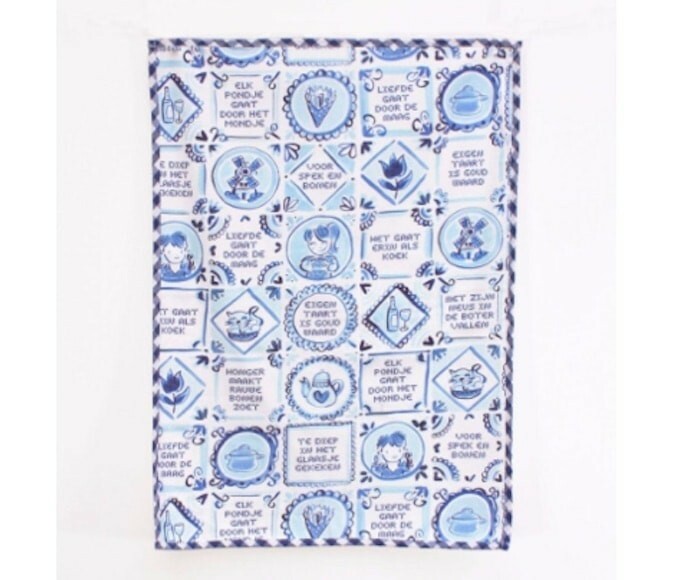 Make your kitchen extra cosy with this cheerful Delft Blond tea towel. It is printed all over with Dutch images and sayings. It does not speed up wiping, but it is absolutely more fun! The Tea towel measures 50 x 70 cm, is made of 100% cotton and washable at 40°c. In a small workshop on the Spuistraat in Amsterdam, two friends from Brabant started painting kitchenware. 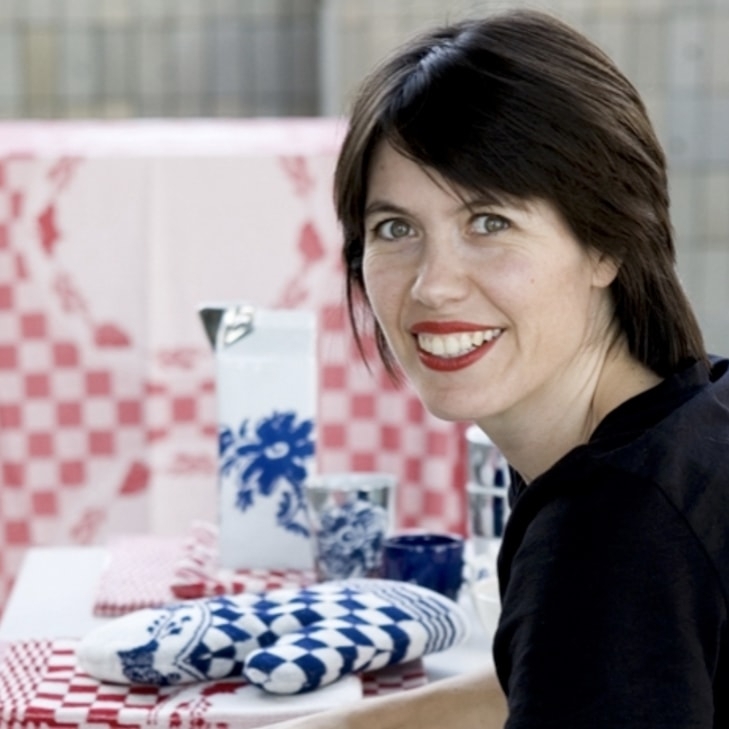 Today, the kitchenware collection of Femque van Geffen and Janneke Dröge is extremely varied. 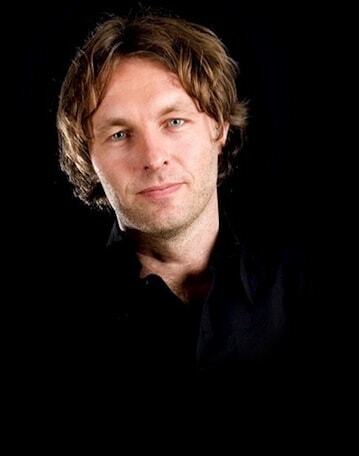 The kitchenware has the brand name 'Blond Amsterdam'. 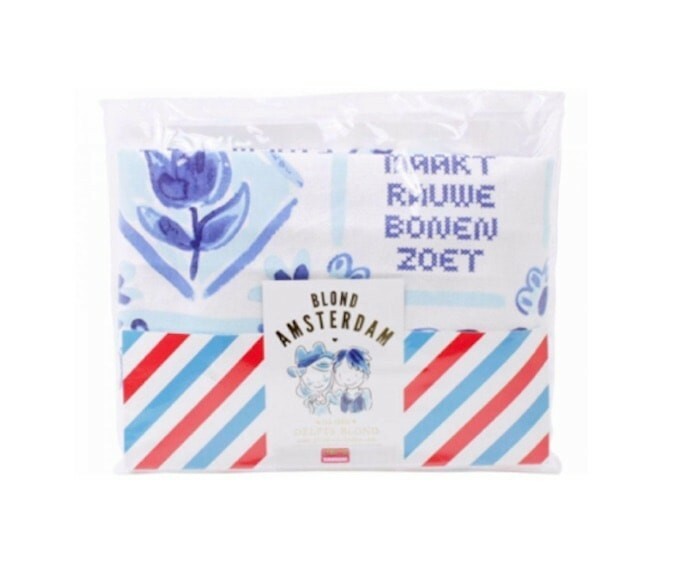 Within the Blond Amsterdam Collection, they created a Delfts Blond series with great artwork that characterizes the Netherlands. This series is not comparable to the porcelain products known as ‘Delftware', but certainly is a unique spin on them. 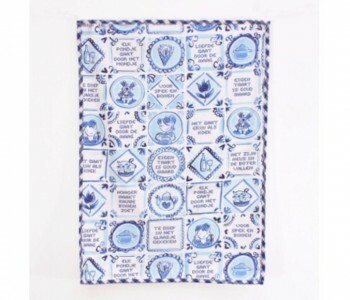 This cheerful tea towel of the Blond Amsterdam Delft Blond series makes your kitchen a bit cosier! 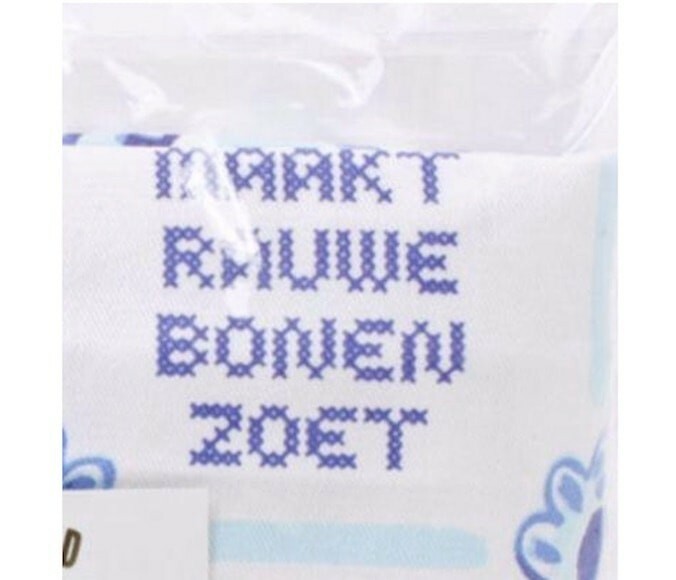 The Tea towel is printed all over with Dutch images and sayings. It does not speed up wiping, but it is absolutely more fun! The Tea towel measures 50 x 70 cm, is made of 100% cotton and washable at 40°c. 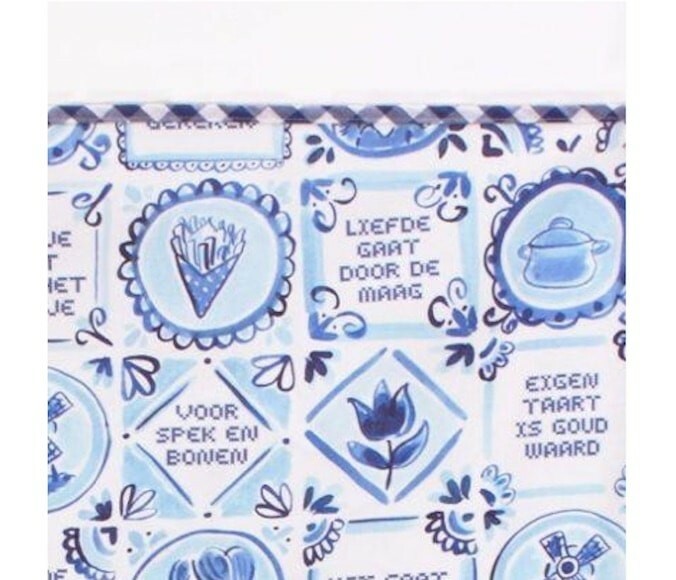 Delft Blond consists of a whole pottery collection n a casual Delft blue style. The Delft Blond pancake Board combines perfectly with other items from the collection. In our range, you will find stock pots, bowls, jugs, cups and saucers, XL mugs and mini mugs, a teapot, milk jug and sugar bowl from the series Delft Blonde of Blond Amsterdam. Is doing dishes old-fashioned? No, certainly not. Not everyone has the luxury of a dishwasher! But a tea towel is a very useful item even if you do have a dishwasher. We are often too cautious with our glass service. Either we do not trust our nice big wine glasses and our beer glasses to the dishwasher or we think they are still not dry enough getting them out of the dishwasher. Reasons enough to fit in your kitchen a nice cheerful Tea towel, right? !